The radio picks up AM and FM frequencies, as well as the 7 NOAA weather bands. 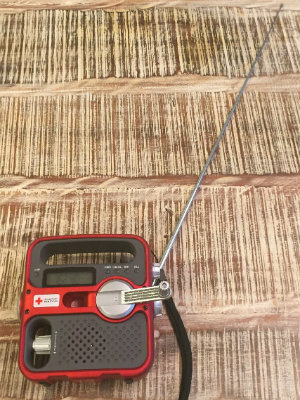 The radio gets decent reception with the built in antenna, but it can be greatly increased by holding the antenna up to a metal structure. The headphone jack lets you listen quietly with your own earpiece. You can also use the auxiliary input for more audio devices if needed. The USB charger is clutch in situations where you need to charge your phone or other electronic device. 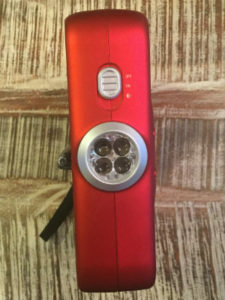 The 3 LED light puts out adequate light, and the flashing red LED option is good for locating the FR360 with less power consumption. 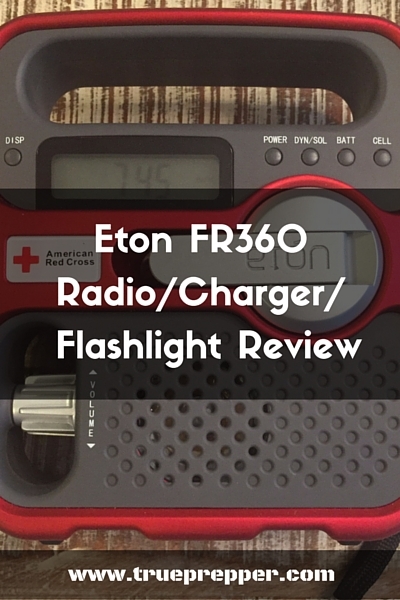 Charging with the Eton FR360 is great, with multiple power sources. It can pull from either battery source: the AAAs or the NiMH. If those are low, you can use the hand crank or solar panel to recharge the rechargeable NiMH batteries. You can use an AC adapter (usually not included) when power is still on to power the FR360 too. You must select the power source using the switch. 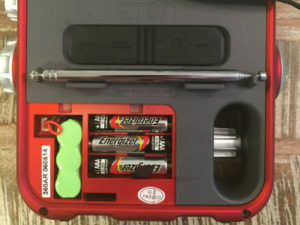 Press the BATT button to use the AAA batteries as your power source. 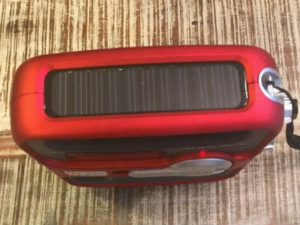 To use the solar, crank, NiMH, or AC adaptor, press the DYN/SOL button. At low volume, the radio lasts about 5 hours on a full set of AAA batteries, and 5 minutes after 90 seconds of cranking the dynamo. The radio lasts 4 hours after charging in direct sunlight for 8 hours. A jack of all trades is not expected to be the best at everything it does. 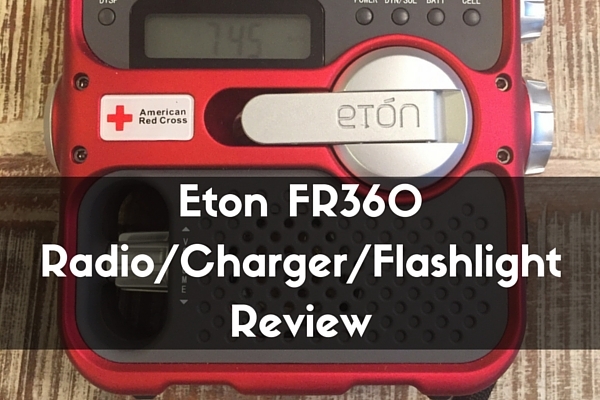 The Eton FR360 is just that, and does not assume to be more than a versatile all-in-one disaster radio. 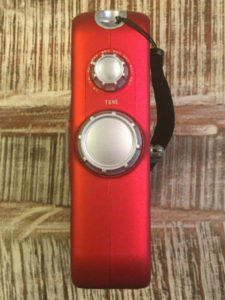 The light output of the flashlight is not the best, and the radio does not have great reception with the included antenna. The case is plastic and susceptible to cracking, and the crank handle could possibly break under extended use. There is no way to turn off the clock on the radio without removing the AAA batteries, which could drain if they are forgotten for longer periods. All of these are to be expected from the FR360, and you can take this versatile radio at face value. It is not meant to be a bug out bag addition where it would be tossed around and have it's toughness tested. 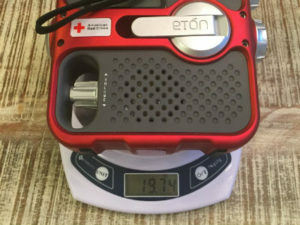 At TruePrepper we recommend the Eton FR360 as a starter radio for a Disaster Kit, or possibly for a Car Kit with the car charger accessory. It's versatility makes it a great tool to check off the list for your radio, flashlight, clock, and solar charger. Further down the road, you may want to consider upgrading this with individual items with better functionality and less compromising versatility.